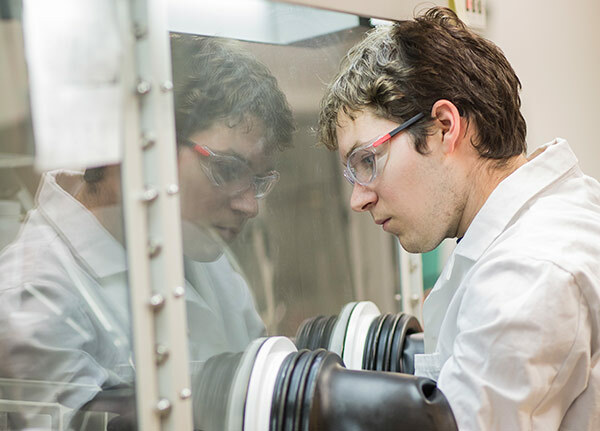 The Institute for Materials pursues partnerships across colleges, academic units, and research and education centers within Georgia Tech. The collaborative and entrepreneurial spirit that infuses the Georgia Tech community is reflected in various innovation initiatives pursued by IMat. 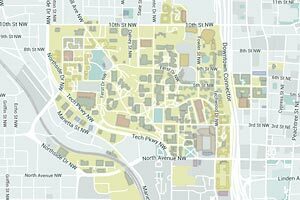 Of equal importance is our desire to collaborate well beyond the physical footprint of Georgia Tech. Discovery, design, and development of materials requires extensive networking with other universities, materials suppliers, original equipment manufacturers (OEMs), industry R&D laboratories, companies ranging from the startup phase to Fortune 500 status, and national laboratories. New partnerships are nurtured on an ongoing basis. Partnerships often involve collaborative work with graduate and undergraduate students, in addition to engagement of faculty. IMat is particularly interested in fostering partnerships of strategic, long term nature with industry, national laboratories, and other academic institutions, as well as mutually beneficial relationships with international laboratories, universities and agencies. The College of Architecture, Ivan Allen College of Liberal Arts (public policy), and Ernest Scheller Jr. College of Business also have interests that intersect with the materials research community.